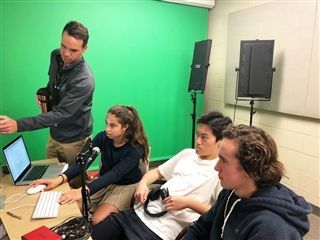 Tenth graders channeled their inner radio personalities this week, creating podcasts for Chemistry. Students created a show on different sub-topics, ranging from climate change to what makes humans hungry. They edited the podcasts to include music and sound effects. The podcasts will be available online soon!